The results are in! 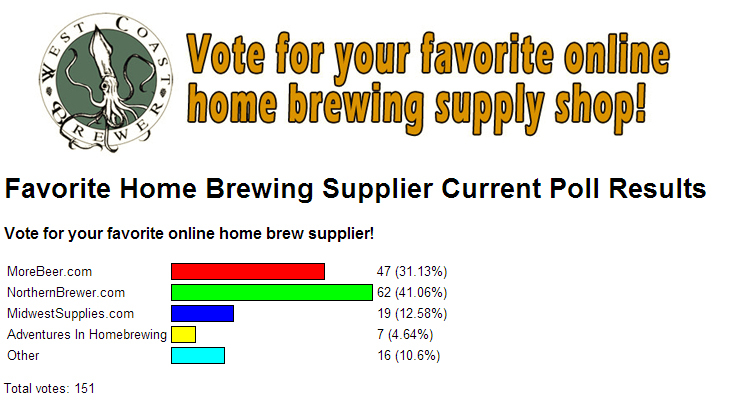 Out of 151 unique user votes, WestCoastBrewer.com readers voted Northern Brewer #1 for their favorite online hombrew supply store. MoreBeer.com came in a close second with 31% of the vote, followed by Midwest Supplies and then Adventures in Homebrewing. Thank you to those that took the time to vote for their favorite online home brewing supply shop; I will be posting a new survey shortly! If you are currently all grain brewing and not using a software such as BeerSmith 2, you may want to consider making the investment. 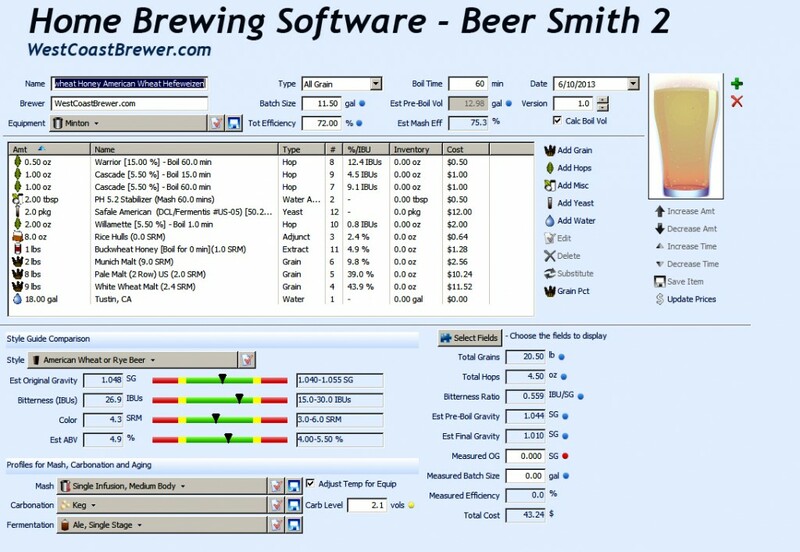 For about $24, Beer Smith allows you to easily design homebrew recipes and tells you when you are in and out of alignment for the attributes of the beer style you are brewing such as bitterness, color and gravity. You can add easily customize your beer recipe by adding different grain types, hop varieties and quantities to see the impact that it will have on your beer before you actually brew it. In addition to that you can customize your water profile by adding minerals to mimic the ideal water composition of your style. BeerSmith also helps you organize your brew day! It tells you how much water to add and at what temperature to help reach your mash temperature efficiently. It also provides you with a list of hop additions and times for them them to be added and it is all on one sheet of paper. 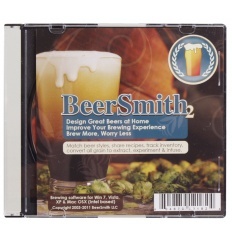 If you are looking to purchase BeerSmith 2, MoreBeer has a promotion on it today while supplies last. You can pick it up for $18.99 using promo code Beerdeal. 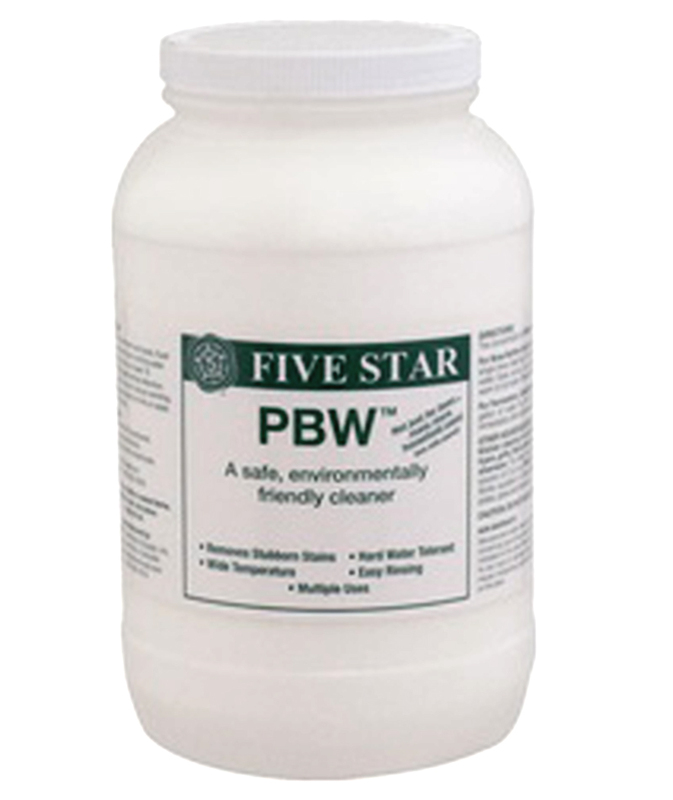 Save 15% on PBW Homebrew Cleaner! If you are in need of some Powder Brewery Wash, AKA PBW Homebrewing Cleaner, now is the time to stock up on it. From now until 9/10/2014, MoreBeer is offering 15% off on all PBW homebrew cleaner purchases. Just enter promo code BULKUP15 to take advantage of the savings. Here is a link to the full details on the PBW Cleaner Coupon!